Please use the following contact form to send us your messages. 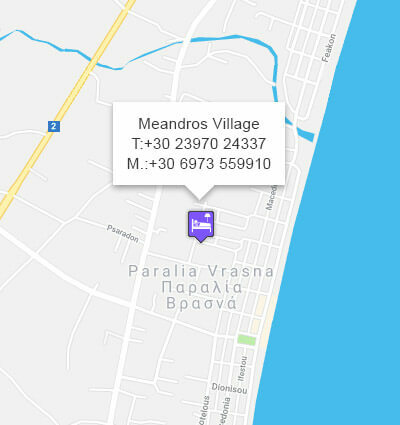 You can ask about anything you wish regarding your summer vacations and your staying to Meandros Village. We will reply to you as soon as posible. You can also use our Contact Info on the right sidebar to get in touch with us.